Imagine being able to access a book anywhere in the world. And not just books but documents, treaties and papers on any subject, in any language, in any corner of the world—all at the click of the mouse. That may be the ultimate fantasy of the bibliophile, the scholar, the researcher. That is also the grand vision with which the Google Books Library Project started out in 2004 when it began digitising the collections of libraries. But in pushing through this dream, Google forgot, or chose to ignore, something critical: the rights of authors and publishers, and not merely of those who believe in copyright. With its technological sophistication, the search engine giant had planned to make “every book in the world” searchable by digitising content. Its stated aim was to “remove the barriers between people and information, and benefit the publishing community at the same time”. In December 2004, it started digitising the collections of five major libraries: the New York Public Library and the libraries of the universities of Michigan, Harvard, Stanford and Oxford. The Google Library Project (GLP) works like a card catalogue, showing users information about the book and snippets to display the search term in context. If the book is out of copyright the entire volume could be downloaded. So far, Google is believed to have digitised 12-15 million books. But trouble began soon after, when the Association of American Publishers and the Authors Guild (also of the US) sued Google in a class action suit, charging the company with infringing copyright. After several years of negotiation the two sides arrived at a $125 million amended settlement in 2009. 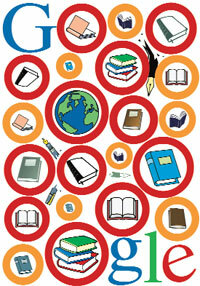 Google was allowed to sell subscriptions to the online database and online access to individual books to consumers. Revenue it earned from web pages was to be split, with 63 per cent going to the rights holders. The settlement was opposed by rivals like Amazon, Yahoo! and Microsoft, and, stridently, by the French and German governments who said it would give Google undue advantage over digitised works. The US Department of Justice, too, weighed in with anti-trust concerns. However, libraries backed the project offering a treasure trove for people without access. It’s difficult to understand how Google assumed the two American organisations represented the interests of all authors and publishers worldwide. Naturally, there was an outcry and Indian right holders were among those who opposed the pact. The Indian Reprographic Rights Organisation (IRRO) and the Federation of Indian Publishers (FIP) told the US judge looking into the settlement that it was “contrary to every international treaty that governs copyright laws. Google’s unilateral conduct is a brazen attempt to turn copyright law on its head, by usurping the exclusive rights of the copyright holder”. Besides, not all authors can be lumped together. For instance, academic authors prefer open access, whereas the guild and its members are into maximising returns. Nor did the settlement take into account works distributed under the Free Documentation License and the Creative Commons Share Alike 3.0 licence. Had the settlement been approved it would have dealt a lethal blow to the free sharing concept since Google would’ve got the right to digitise—and sell—such works without complying with the ‘copyleft’ and ‘share alike’ licence terms. The “claims well beyond the case” relate to the opt-out provision in the settlement. If an author did not specifically opt out it was presumed he/she was amenable to digitisation of their work; it allowed glp to brush aside copyright issues. Then there was the question of orphan books, works whose copyright owners aren’t known or can't be found. Google would have got de facto monopoly over them. What the settlement attempted to do actually entails reform of copyright laws, something that should not be accomplished through a class action suit. Rightly, the judge has ruled that fundamental changes in the rules of copyright law should be effected through Congress.